FOR any book lover looking for a purposeful use of any Christmas gift book tokens – or any lover of books – a very good choice would be this highly impressive publication which would grace any coffee table. It is composed of a reproduction of the rare panorama, 60ft long, produced by a 19th century bookseller, Samuel Leigh, showing the scenery along the lengths of the bank on both sides of the river as seen in 1829. It also included a panorama of the City and South Bank as seen from the old Adelphi buildings in the Strand. Panorama of the Thames. A Riverside View of Georgian London is the work of John R Inglis and Jill Sanders. At such a time this was not a city and its suburbs, but a city and its neighbouring villages; groups of buildings are spread at wide intervals and there are long stretches of bank lined only with trees. The Middlesex bank is followed from Twickenham and St Margaret’s to Pimlico and Westminster; the Surrey bank from Lambeth to Richmond-upon-Thames. Larger buildings which stand out are those more industrial, such as the high-reaching soap boilers of T B Rowe and Company. The historical detail contained on each of the pages is extremely precise, and here adds that the company was founded in 1787 by Lawrence Rowe, who was born at Crediton in Devon in 1756. 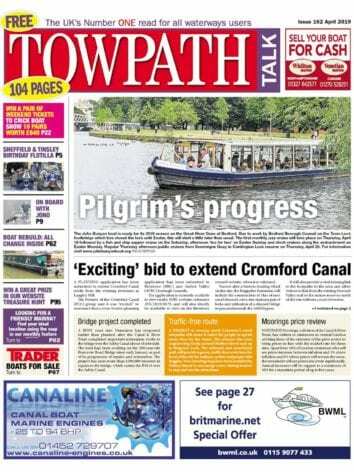 Other local employment at this location, at the approach to Brentford, would have included the Malthouse and wharfs. There were long-established industries, such as the production of shot, but there was also more modern progress in the buildings where new processes were being explored, one at a more central London site where this involved seasoning of timber. At Wandsworth, the Surrey Iron Railway was the start of a line to Croydon. Among traffic on the river was a recently commissioned passenger boat which was proving popular with tourists on a route between Westminster and Richmond. This was a London with a population in the first quarter of the 19th century then having reached no more than 1.3 million, and many of today’s suburbs are described here as being remotely isolated and deeply rural. There were however many impressive buildings, including Old Kew Palace, and those with names going back in time such York House, or Place; this arises from it being built when an Archbishop of York had an estate there in the 15th century. The hand-coloured panorama is followed by a detailed Gazetteer, adding even more historical background. 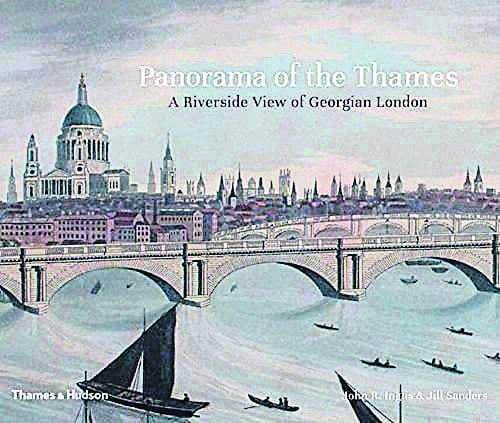 Panorama of the Thames is published by Thames and Hudson, price £29.99.